The albums in the list below (chronologically arranged, but in no special personal order) mark key milestones on my journey to discovering rock ‘n’ roll itself, growing up in India in the ’80s and ’90s. 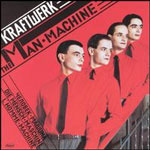 The Man-Machine was probably one of my very first exposures to music of any kind, period. My father picked up a cassette tape of this album on one of his trips abroad in the early ’80s (I forget where) on the recommendation of one of his friends. Of course, he didn’t know what Kraftwerk was! I still remember playing with Matchbox cars as a six-year-old while “Metropolis” played in the background on a National Panasonic tape deck. Like my dad, I didn’t know what the music was either, but it was cool, and it certainly groomed my music taste on a subliminal level for years to come. Kudos to my parents! For an artist as eccentric as Peter Gabriel to reach as far as India in the ‘80s, So would be the album to achieve it – an album that is a monument in rock music history, which elegantly and beautifully brings together so many genres, and is deep and complex yet very accessible. 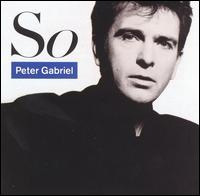 Even though this is not my all-time favorite Gabriel album anymore, it is still very near and dear to my heart as a music lover. Like many others, my first introduction to “world music” was Graceland, and my perception of what’s possible in rock music from the West was forever changed after listening to it. The cassette tape of this album was the closest to punk music that I ever got at the time when I first came across it in the late ‘80s. 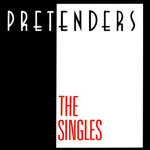 Although I never really dug any deeper into The Pretenders’ catalog, The Singles is still one of the most enduring and timeless (now as a CD) in my music collection. 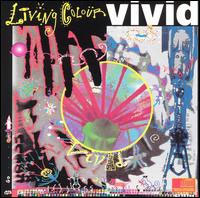 I am a much bigger fan of Stain, but Living Colour is one the most amazing rock bands ever, and this dynamite of an album introduced this band in style to me and to the rest of the world! What’s more to say? I got introduced to this album through my brother who had bought it on a cassette tape that was released illegally in India. I thought the album cover was cool and, like most bands I discovered growing up, knew nothing about Throwing Muses. But the raw energy combined with the absolute vulnerability in the music, expressed as unorthodox songs, really captivated me. This was my first true “college rock” album. I discovered The Real Thing during my grunge days and didn’t know what to make of it. Was it funk or heavy metal? Heck, the band even had a keyboard player! 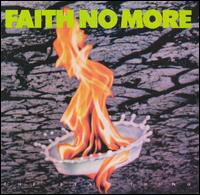 Faith No More still baffles me, but I was glad I stumbled upon this albu because it made me discover one of the most amazing bands of all time! 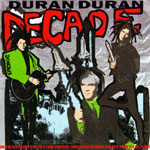 I grew up in the ‘80s, but Duran Duran was my first ever band from this decade, and Decade was my first ever Duran Duran album. Over the years, I have acquired a few Duran Duran albums, but this greatest hits compilation is still my all time favorite release by this band. This is an ideal party album to me. She shaved her head and made kickass music! Sinead O’Connor was a revelation to me. 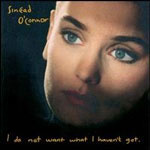 I Do Not Want What I Haven’t Got, my first Sinéad album, opened up this facet of rock music to me that never existed before – rock became way cooler than ever before. In the ’80s and ’90s, only a handful of “Western music” got released in India (as cassette tapes), and there seemed to be no rhyme or reason behind what was released and what wasn’t. 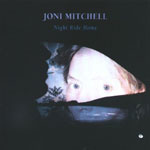 Why Night Ride Home happened to be one of those that got released (in addition to albums such as Vision Thing by The Sisters Of Mercy) was a mystery. I am speculating that only 90 copies of this album were sold in the country, and probably 90% of the folks who bought a cassette of this album didn’t know (or care) who Joni Mitchell was: hey; it was “Western music,” and if you were like my elder brother hungry for rock ‘n’ roll, you didn’t question your purchase! As a 13-year old, I listened to the album, not knowing who the heck Joni Mitchell was either. But I loved the album and listened to it again and again. 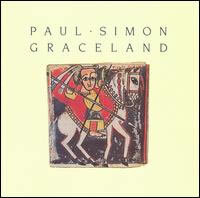 And now, whenever I come across folk or jazz music, I think of this album. Also, now that I am now a little bit more educated on who Joni is, I am quite convinced that she is not some hippie folk singer but actually a Goddess from another planet! Eurythmics was the second ’80s band I discovered after Duran Duran, and although I find their music as catchy as Duran Duran’s, they mean a lot more to me as a band. I consider Annie Lennox and Dave Stewart to be couple of the most important musicians coming out the New Wave genre and from the ‘80s itself. They were the only ones who could make ‘80s synth-based music soulful without making it sound tacky. My first introduction to The Cure was the video for “High.” The band initially captured me because of their strange videos – “Lullaby,” “The Love Cats,” “Close To Me” – but Wish changed it all. 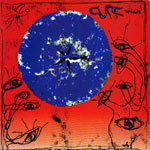 This was my very first Cure album and made me the crazy Cure fan that I am. This album also made me love guitar noise, which in a strange way opened up my musical palate to genres such as grunge, progressive rock, and shoegaze. Having being all but isolated from Western music growing up, I could never say that I was part of any particular musical subculture. But when grunge exploded into the mainstream, it was around the same time we got MTV in India. As a teenager, I got seduced by all these angst-ridden grungy videos that were in heavy rotation, and I became part of the grunge subculture. Heck, I even had a flannel shirt that I wore with pride! 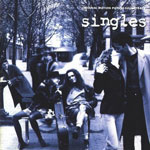 I had already discovered a majority of the big names in grunge by the time I discovered the Singles soundtrack, but to me, if there is any album that perfectly captured and condensed that particular period in music, it was this album. Okay. So I systematically avoided any music that was labeled “pop” growing up. I was kind of aware of Madonna, but had absolutely no interest whatsoever in her music. I had won a music knowledge contest hosted by one of the local newspapers, and my prize was 10 random music cassette tapes from the record company that hosted the contest; Madonna’s Erotica was one of them. I was clueless about this album and the controversy surrounding it. Although it didn’t really catch my attention, there was a sticker by the music company on the album cover warning that all the apparent “noises” on the album were part of the music, and are not manufacturing defects. This warning was enough to get me interested, and just after a couple of listens, I was hooked on the album and developed a new sense of respect for pop music. To this date, I still consider Erotica a classic. I wasn’t a huge fan of this album when it came out. 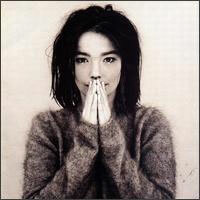 But strangely, I loved the weirder tracks on it, the singles “Human Behaviour” and “Venus As A Boy.” Over the years, Debut has grown on me. But it will still be special for when I first discovered it because of its sheer uniqueness, which was unprecedented in pop music. 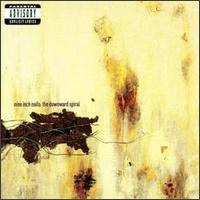 The Downward Spiral taught me that difficult albums can be very rewarding if you give them time. This was my very first Nine Inch Nails album, and I could barely tolerate it initially because it was way too noisy and creepy! Boy, was I ever wrong! Also, this album made me realize for the first time, the power of words, and how even the crudest of lyrics can result in beautiful and moving poetry. I discovered Morrissey way before I discovered The Smiths. 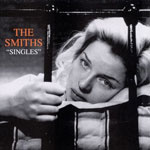 Singles was the very first album by The Smiths released in India, and hence the very first album by this band that I could get my hands on. I didn’t fully realize the genius of Morrissey until I heard this album. Add to this the brilliant musicianship of Marr, Joyce, and Rourke, and The Smiths was a perfect band! Not having discovered The Beatles then, The Smiths were my “Beatles” at that time. Apart from the bands that I was randomly exposed to while growing up, the real big force in shaping my present music taste was MTV’s “120 Minutes” show in the 90s. PJ Harvey was one of the first artists I discovered on the show through the videos for “Dress” and “Man-Size.” I thought she was cool, but a bit too weird for my taste. To Bring You My Love, which was my first PJ Harvey album, came to me in the form of a cassette tape through my elder brother who got it as a birthday gift from a really cool friend of his. I couldn’t make heads or tails of this album initially, but I loved it for its sheer bizarreness! Even today, after countless listens, I still find this album crazy and insane, but absolutely brilliant nevertheless. Aah, teen angst! This is something that I do not want to look back and think of in a romanticized way. However, discovering this album was certainly one of the good things that came out of my awkward and angsty “me against the world” teenage days, as it helped me cope with that phase of my life. 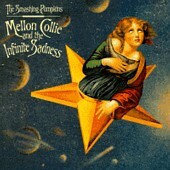 Besides, Mellon Collie And The Infinite Sadness is probably one of the most powerful albums that I have ever come across. The lack of Western music releases in India while I was growing up in the ’80s and ’90s created a market for pirated cassette tapes, and an illegally compiled “best of” tape of Iron Maiden was one of such releases – called Best Of Iron Maiden, if I recall correctly. It was released in the late ’80s, so it was not Best Of The Beast. 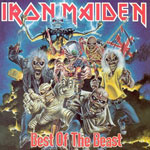 However, it included all the Maiden staples from Iron Maiden to Somewhere In Time and all the albums in-between that were included in Best Of The Beast. Kudos to whoever put together this compilation, because all the right songs were included – “The Trooper,” “The Number Of The Beast,” “2 Minutes To Midnight” – enough to make a certain 10-year old in Mumbai get excited by this new and strange kind of music that is filled with adrenaline and become trapped in the magical spell called rock ‘n’ roll for the rest of his life.